Click on images below for larger views. Image will open in a new window. 1822 Searchers find Tate-te-la-hosta-ka = Watermelon Town? Seminole Town ? Seminole? One theory of the name of our city. 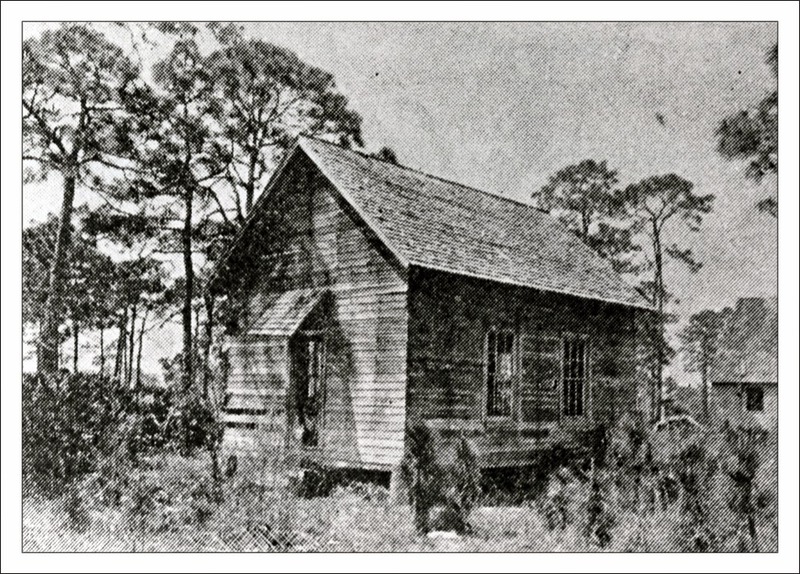 1860 Augustus Archer: on land deeds up near Anona; came in from Key West with his friend, John Lowe. Both were captains of their own ships - the way to carry merchandise before the railroad. 1865-1868 End of War-Settlers start to come in; Benjamin Campbell and others. 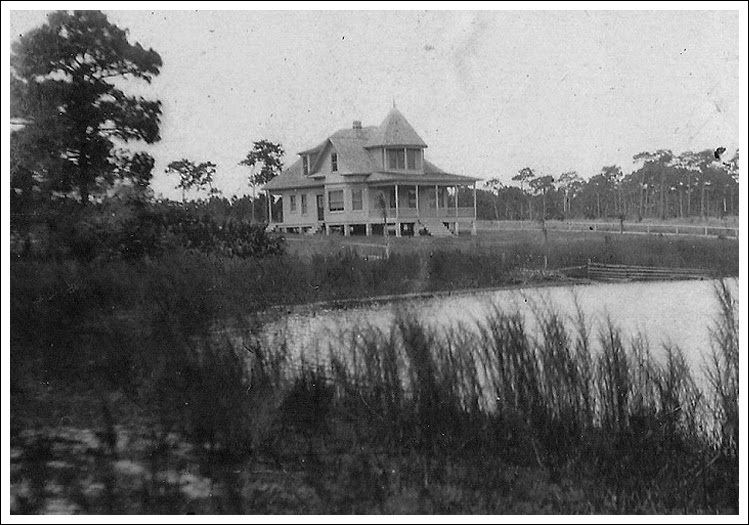 1872 Meares brothers settle at Meares Lake (now Seminole City Park). Aunt Bell names the area Oakhurst. No Seminole on the map. 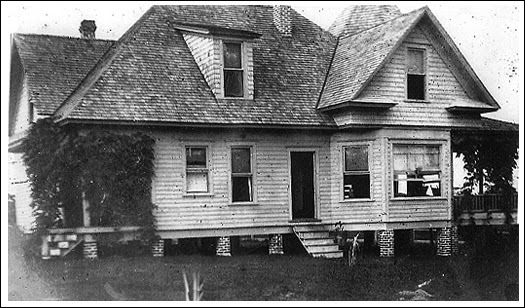 1879 Albert S. Meares opens a post office out of his home; called John's Pass. Irvine J. Adair is Postmaster. 1880's Seminole taxpayers are on the record at the courthouse in Tampa (from West Hillsborough County). All taxpayers have "John's Pass" as their address. John's Pass is on the map. 1883 Irvine Adair is the first recorded landowner on the beach. His patent is dated March 10, 1883. 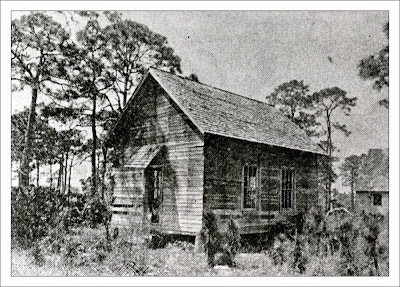 1886 Seminole Post Office is created. Gus Archer is Postmaster - at "Triangle". 1887 Robert Leach, Englishman, settles near Meares property - south of Old Oakhurst Road. 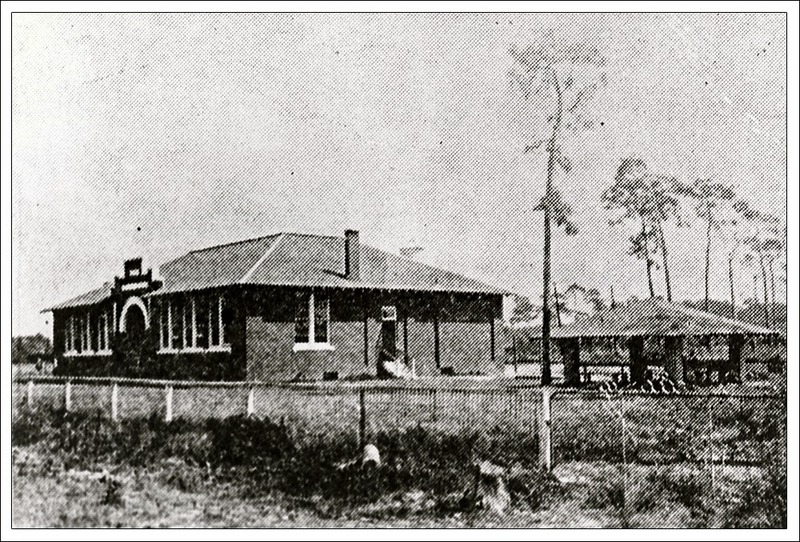 1888 Orange Belt Railroad is built from Sanford, FL to St. Petersburg. Later becomes Atlantic Coast Line RR. The photo below was taken in 1889. The little engine that chugged through Seminole, with black smoke 'puffin and cinders flying, was the Tampa and Gulf Coast (T&G) Railroad in ca. 1913-1914. They called that little stovetop engine the Tug and Grunt. We have a copy of this train coming around the bend, just a few feet from where our museum is now. Gus Archer gives one acre of land for church. He and 12 other families are charter members of Marvin Chapel - now, Seminole United Methodist Church. E.H. Giles, the first Pastor, named the chapel after his son, Marvin, a Methodist Bishop. In 1921 a hurricane destroyed the chapel. Thevenets' give one acre for school (where Log Cabin is now). 1904 Maurice Meares Family home. This house was here until the mid 1970's. 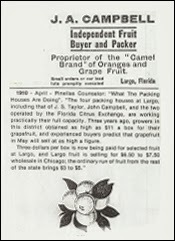 John A. Campbell, Seminole resident and father of Marjorie Campbell, who married Jesse Johnson, is an independent fruit buyer and packer in Largo. 1911 Pinellas, previously part of Hillsborough, becomes a county. (Officially 1 January, 1912). Seminole Elementary opens on 74th Avenue. It was at least the third school in Seminole. 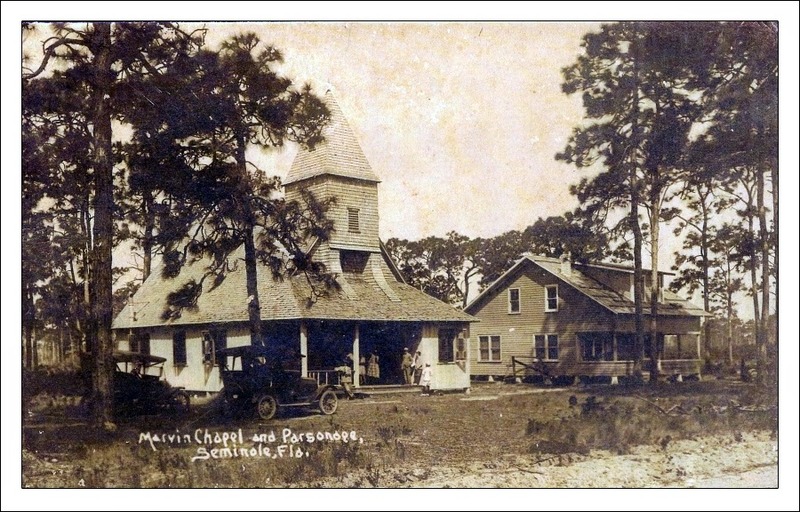 1914 - 1916 Seminole Beach and post office. 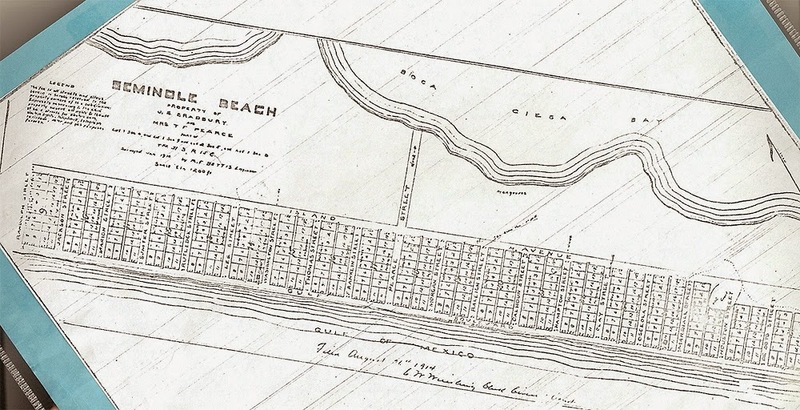 The land for a Seminole Beach development was homesteaded by two men, a Mr. Bradbury and a Mr.Pierson. They built a pier, had a store or two and sold lots (12 blocks laid out), but they had their dream shattered when storms blew away much of their property. A fellow by the name of Charles Reddington bought this land and you know the rest of the story. 1915 - 1919 Oakhurst Post Office in use; Mr. Elrod is postmaster. 1917 Thurstons buy groves from O'Quinns ? 1924 Gandy Bridge is opened; trip to Tampa reduced from 43 miles to 19 miles. 1925 Seminole: Population 100. Now it has a grocer - T.G. Walker. (where the trail is and the old City Hall). 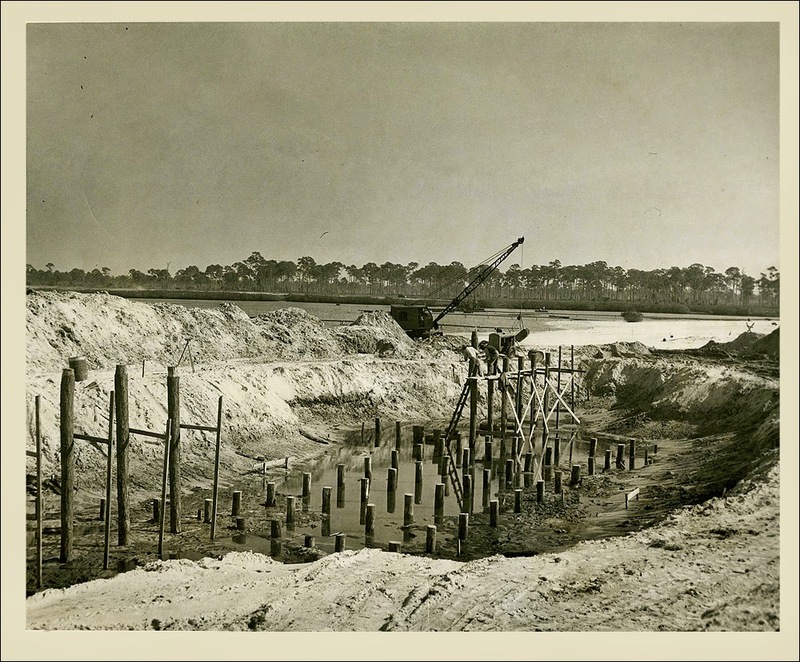 1926 Welch Causeway opens (Madeira Bridge - Tom Stuart Causeway) 1st "free bridge" to the beaches. 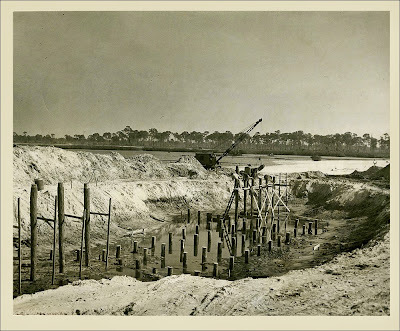 1929 Stock Market crashes: Bad enough, it was at the end of The Florida Boom. 1932 Pinellas County is 3rd in the state in citrus production. Al Repetto says that, at one time, we were 1st in the grapefruit production with 17,000 acres of grapefruit trees. 1933 Bay Pines Veterans Hospital opens. 1000 laborers get jobs; big help towards the end of the Depression. 1933 Seminole's Log Cabin is built; WPA project and CCC workers put it together. Leon Campbell is behind this project. Jesse Johnson furnishes the lumber. 1933 You can buy a man's suit for $12.50. Closeout price - $6.75! But, who has money? 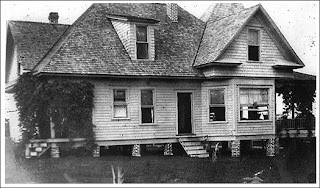 1940 There are 7 packing houses on Seminole Boulevard. 1940's Gene Mohney and his dad have a chicken farm; over 5,000 chickens. They deliver! Long Bayou has a dam and we have a Lake Seminole with fresh water. 1960's The Big 4 come to town. Trees come down - houses go up. 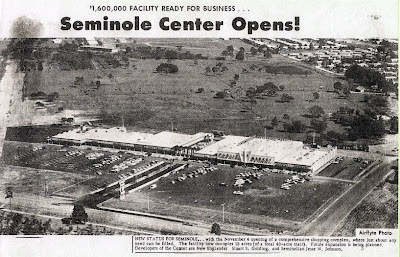 1962 Seminole High School opens with birdshot and alligators. School is built on a sand pit. Stanley Moore is the first principal. 1963 1st Chamber of Commerce. Russell Stewart is president. 1963 Leon Campbell writes a very helpful booklet about Seminole pioneers, their families and where they lived in the 1880's. 1964 1st Senior class graduates at Seminole High. 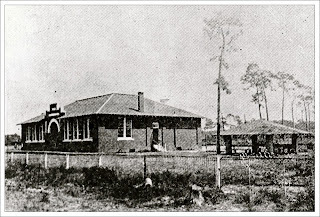 Seminole Shopping Center, Seminole Post Office and Boy Scouts buildings are built on Jesse Johnson's land. 1964 - 1965 Push by Seminole residents to renovate Seminole Bridge. It works. 1967 The 1st Pow-Wow. Read the city's Pow-Wow history here. 1969 Seminole Volunteer Fire Department, SHS Warhawk Boosters and many others (and a lot of BBQ chicken) raise money to convert a swamp into a football stadium for the high school. 1969 Gene Harris, Seminole Fire Department volunteer, builds both concession stands at the stadium for $265.00 (and that was for refrigerators and pipes). They are still in use. Other volunteer firemen built stands for home and visitors. 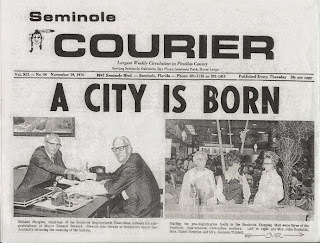 1970 Seminole becomes a city! The first mayor is Russell Stewart; honorary mayor is Jesse Johnson; 8 city Councilmen are elected, including Arnett Brown, historian and long-time active citizen of Seminole. Dennis DeLoach and Bill Dunlap are the first attorneys for the new city. 1974 City buys, for $200,000, Meares Lake and property for City Hall and city park. 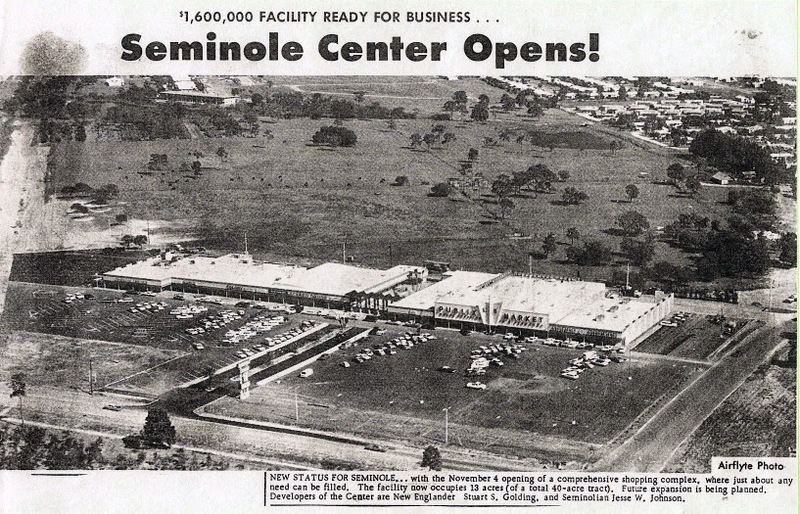 1984 City of Seminole: Population 5,000. 1986 - 1989 New Seminole Post Office. 1991 City buys land and church for recreational purposes - it is named The Holland Mangum Recreation Complex. Cost is $1.5 million. City later spends an additional $1 million to increase the size of the property to 15 acres. 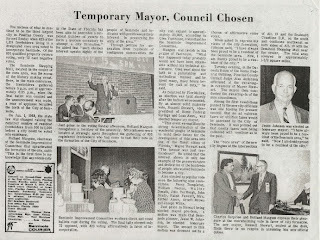 1992 2nd library opens - now City Hall. 2003 Dennis L. Jones Seminole Community Library at the St.Pete College, Seminole campus opens. 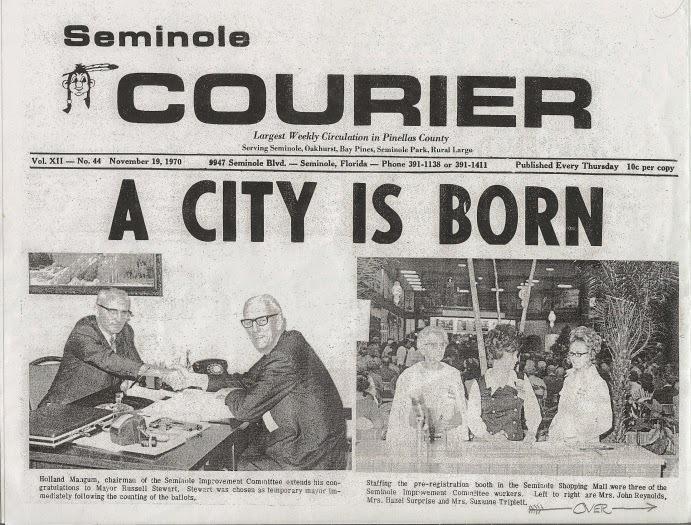 2006 November 16, Seminole celebrates 36th Anniversary as a city! As a community, about 130 years. 2007 City of Seminole, Population: 19,000, with the greater Seminole area: 126,000. 2009 The SHS is without a permanent location to house its ever-growing collection of photographs, artifacts and stories. This Seminole history was compiled by Jimmy Vines, in 2007. As our community continues to grow, the SHS continues to collect and preserve our past.